The governor's announcement follows three days of roundtable discussions about school safety last week at the Capitol. He said he was open to a special session to implement some of his ideas. DALLAS — Less than two weeks after 10 people were killed in a southeast Texas school shooting, Gov. Greg Abbott laid out a wide-ranging school safety plan — including programs for mental health screenings, expanded school protections and even a few, narrow measures regulating gun usage — and left the door open to calling lawmakers back to Austin to pass some of those priorities. "If there is consensus on some laws that could be passed, I am open to calling [a special session]," Abbott said. Many of the proposals Abbott laid out Wednesday (read the full document here) would require legislative approval, meaning a special session of the Texas Legislature would be necessary to implement them before the next school year starts in August. Some will likely be studied in a new Senate committee on school violence and security, which Lt. Gov. Dan Patrick charged Wednesday with addressing Abbott’s ideas by the first week of August. Consideration of a "red flag" law is the first charge that House Speaker Joe Straus gave to the lower chamber's Committee on Criminal Jurisprudence. Straus said he will ask the group to consider other measures aimed at bolstering school safety in the coming days. Abbott also addressed the issue of gun storage, recommending that Texas promote but not mandate safe storage practices like locking away guns while they’re not in use. Eleven states require gun-owners to proactively store their guns under lock and key in at least some circumstances; in dozens of other states, Texas among them, gun owners can be held legally accountable if minors access their firearms. That’s what happened, authorities say, in the case of Santa Fe shooter suspect Dimitrios Pagourtzis, the 17-year-old Santa Fe High School junior who used his father’s guns in his rampage. But his family can’t be held liable under Texas’ child-access prevention law because it only applies to children under 17. 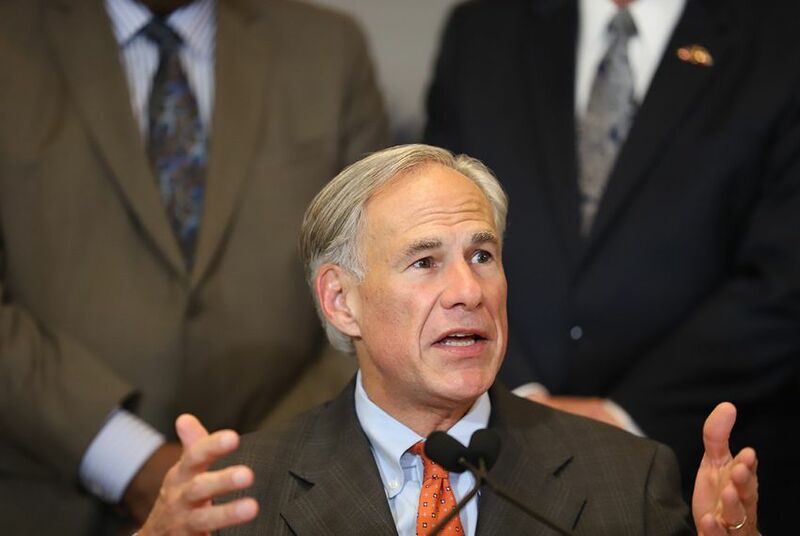 Abbott on Wednesday proposed raising that bar to include 17-year-olds, which would bring Texas in line with more than a dozen states whose comparable law includes minors under 18 years of age. The Texas State Teachers Association “strongly [objected]” to that idea in particular. “Teachers are trained to teach and to nurture, not double up as security guards,” TSTA President Noel Candelaria said in a statement. Santa Fe ISD, in fact, had already approved the school marshal program, but had not yet implemented it. That program currently allows trained school personnel, whose identities are kept private to all but a few local officials, to carry weapons on campus. Abbott proposed streamlining the training course — currently a “burdensome” 80 hours — and eliminating a restriction that currently requires marshals who directly interact with students to keep their guns under lock and key. State Rep. Jason Villalba, a Dallas Republican who in 2013 authored the bill that created the marshal program, applauded Abbott’s efforts but predicted that two of those suggestions might draw blowback from some stakeholder groups. Parents, he said, would likely be upset if teachers no longer had to lock up their weapons; and the Texas Commission on Law Enforcement, which he said suggested an 80-hour training, would likely take issue with “streamlining” it as Abbott proposed. A TCOLE spokeswoman said the agency would comply with whatever changes the Legislature makes to the program but would not offer additional comments. “Why wait, when there’s broad consensus on protecting our children using some of the programs and measures the governor has proposed today?” Villalba questioned, alluding to the governor’s message that he’d be open to calling lawmakers back if they looked poised to make progress. Abbott also proposed expanding a mental health screening program already operated through the Texas Tech University Health Sciences Center. He said he hopes to "eventually" make that program — currently operational in 10 school districts — a statewide system, and said he recommends Texas fund it with $20 million. Some of the money Abbott proposes to use is his to give out now, and some programs will be funded by federal dollars. But much of what he’s pitched would require action from the state’s lawmakers — who won’t reconvene in Austin until January 2019 unless Abbott calls them back earlier. A special session would be a dramatic move during an election year in which Abbott, all top state officials and a majority of lawmakers are seeking new terms. It would be even more rare given how emotionally charged — and politically divisive — issues of school safety and gun control are. “One of the best things that could come out of this is if we have these discussions more often,” Scruggs said.